Every year, the number of people who want to own a house by credit increase, therefore the chances of increasing problem loans will be greater. Non-Performing Loan (NPL) is an indicator to assess the performance of bank functions. The higher the NPL value, the performance of the bank is considered worse. In order to maintain the caution of banks (creditors) in the provision of credit, the bank needs to assess and determine the criteria of debtors who can be given credit. So the bank can make decisions precisely and accurately. In this research, the Researcher will design decision support system with Mamdani fuzzy logic method with the resulted output in the form of "rejected" or "approved" decision. The accuracy rate in this study is 98%. 2% of the difference consists of 63.64% is a debtor with NPL credit status (problematic). After the system was designed in this study, the researcher conducted an analysis to see the user behavior when using the system. The method used is Technology Acceptance Model (TAM). The result of TAM analysis is the simultaneous relationship among of all variables on the acceptance of information technology (acceptance of IT) have a positive impact. However, a partial relationship between perceived usefulness and attitude toward using does not have a positive effect. The Authors submitting a manuscript do so on the understanding that if accepted for publication, copyright of the article shall be assigned to Data Science: Journal of Informatics Technology and Computer Science (JoCAI) and Faculty of Computer Science and Information Technology as well as TALENTA Publisher Universitas Sumatera Utara as publisher of the journal. Copyright encompasses exclusive rights to reproduce and deliver the article in all form and media. 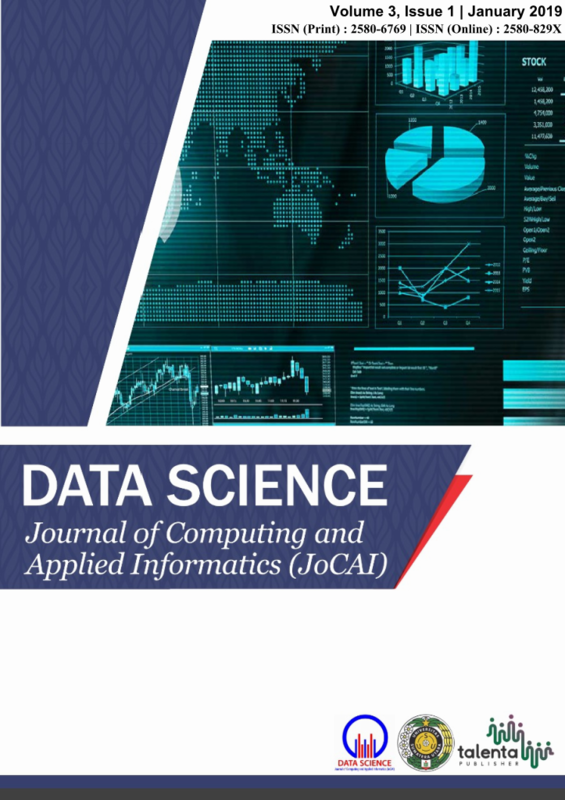 The reproduction of any part of this journal, its storage in databases and its transmission by any form or media, will be allowed only with a written permission fromData Science: Journal of Informatics Technology and Computer Science (JoCAI). The Copyright Transfer Form can be downloaded here. The copyright form should be signed originally and sent to the Editorial Office in the form of original mail or scanned document.